A unique 11-day Mastery Journey in the foothills of the Italian Alps. Designed for Masters who have completed the Virtual Journey of Mastery. 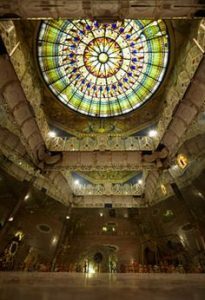 Join us for an adventure to discover your own Mastery and Magic in the energies of Damanhur and the Underground Temples of Humankind. 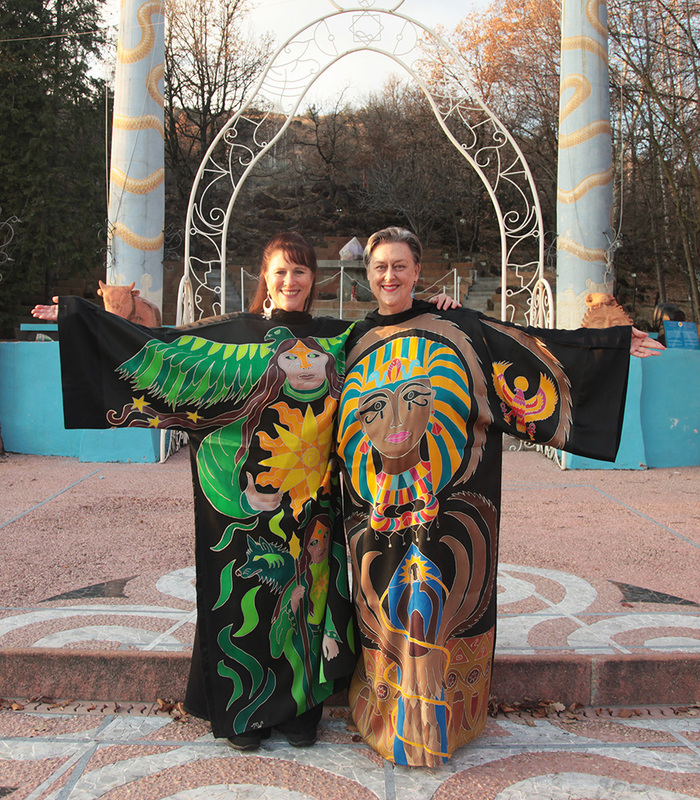 The photograph above was taken in the “Outer Temple” in Damanhur in December 2017, where Megan and Diane spent two months together creating projects for Ancient Future Today. 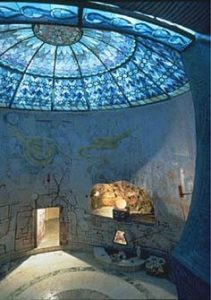 About Damanhur: Founded in the early 1970’s, the Federation of Damanhur in Italy is now an internationally renowned center for spiritual, artistic and social research. 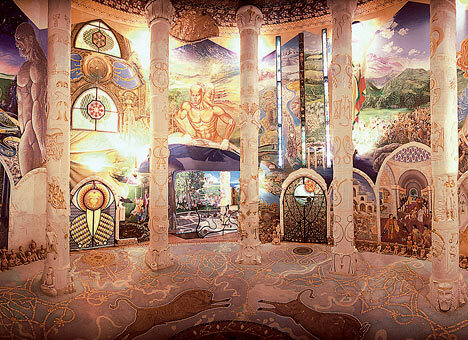 Damanhur is an eco-society, a federation of communities and eco-villages. Damanhur has established itself in the alpine foothills of Piedmont, Italy and comprises 44 small communities, each one built around approximately twenty people. 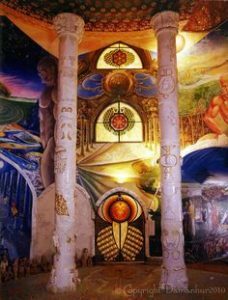 Damanhur is based on diversity and change. Constant and harmonious transformation is applied to all aspects of community life. The Temples of Humankind: Thousands of people from all over the world use the Temples every year as an instrument for inner research and contact with the divine and to open to inspiration, dreams and creativity. These new paths of meditation allow a deep level of access to the spiritual energies of the Halls and offer an extraordinary opportunity of contact and dialogue with the soul. Hall of Mirrors – dedicated to the sky, air and light, solar energy, strength and life. Programmme includes: shared accommodation, meditations in the Temples of Humankind, courses, daily Mastery group work with Megan, Diane and The Grand Council, one private session with Megan and two private sessions with Diane and the Grand Council to optimize your Personal Mastery, work with Megan’s Sacred Robes. Cost does not include airfare, airport transfers, food and personal items.